Unfortunately, many Irish beer drinkers do consider the foreign-owned nitrostout breweries part of their national and/or local heritage. There are people who would consider drinking anything other than Guinness to be unpatriotic, even if the “other” is made locally by a 100% Irish-owned company. You are quite right, however, that most Irish beer drinkers don’t drink Guinness or feel any loyalty to the brand or the beer style. Lager accounts for two out of every three pints of beer sold, and virtually all of it is brewed under licence with a foreign badge: Heineken, Carlsberg, Budweiser, Miller, Coors. The myth that beer = Guinness for Irish people is one that Diageo have spent a lot of time and money encouraging, and is about as true as the Ralph Harwood story. Also, if you moved your pint about a centimetre to the right you’d be able to see my office. Also, my experience over 20 years ago with American market, BOTTLED Guinness tells me that the old, Export version was perhaps a truer version of Guinness. That was great stuff, whereas the nitro version these days, post-marketing gurus, widget cans, B&W TV ads, etc., is pretty thin and flavorless in comparison. Or is it that time has put a shine on my old drinking recollections? Being an American hack myself, I’m also very interested to hear what the Irish craft brewers have to say. How much has the recipe changed over the years? 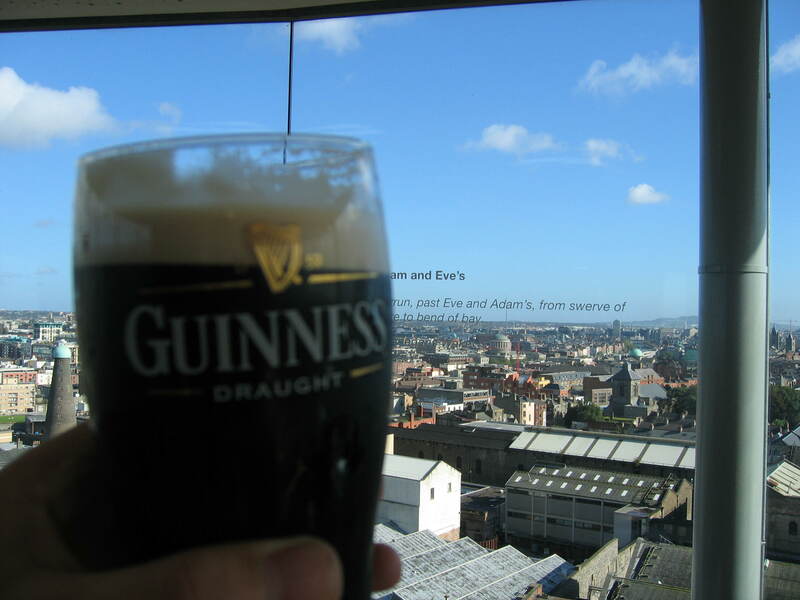 The place to find out how Guinness has changed over the years is on Ron’s blog. He notes that Extra and Foreign Extra were basically the same beer up until 1917, and that Foreign Extra has changed very little since the 1820s. Irish craft brewers that I’ve spoken to seem to have about as much interest in Guinness as their American counterparts have in Coors. If you want to read a reader’s feedback 🙂 , I rate this post for 4/5. Decent info, but I just have to go to that damn google to find the missed pieces. Thanks, anyway!